Make Your Protective Style Last in 3 Simple Steps! 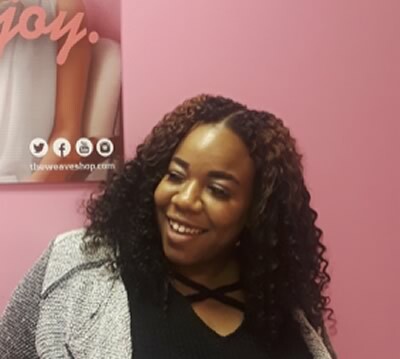 Making a protective style last is always on the forefront of a woman’s mind, especially when protective styles can take a few hours to reach maximum hair goal status. 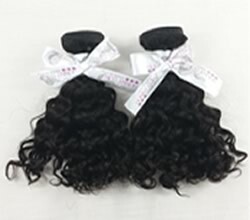 Protective styles can generally be left in for a few weeks if prepared and installed properly. Getting your natural hair and bundles ready for installation are always a pivotal part of the protective style process.Whether you are getting a custom wig unit installed, rocking bundles for a sew-in or looking to bring your weave back to life, the Fruit Fusion Coconut Water Collection by Shea Moisture covers all bases. Here are 3 things you can do to make the most out of your next install! For this install, I chose 2 bundles of the 7A Deep Curl by Hunny Bun Virgin Hair. This hair type is perfect if you want to be able to wear your hair curly and straight. I also love the curl pattern and it works like a dream with the Fruit Fusion Coconut Water Collection because it elongates the curl and keeps it moisturized! Before the install, I shampooed my Deep Curl bundles with the FRUIT FUSION COCONUT WATER WEIGHTLESS SHAMPOO and conditioned my hair with the FRUIT FUSION COCONUT WATER WEIGHTLESS CRÉME RINSE . The shampoo left the wefts and the hair clean but also did not weigh it down. 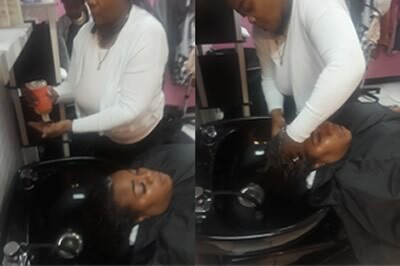 The rinse was the perfect detangler and elongated the curl without leaving a film on the hair. 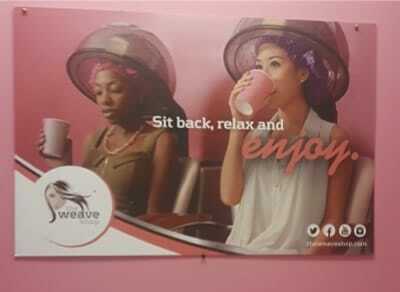 For this install, I looked no further than The Weave Shop Charlotte. There stylists are truly artists in ensuring they can help you with a variety of looks, but they are also professional and knowledgeable. They consulted me on the process needed to bring my hair goals to life. My first stylist from The Weave Shop Charlotte shampooed my natural hair with the FRUIT FUSION COCONUT WATER WEIGHTLESS SHAMPOO . The shampoo provided a deep clean, smelled amazing and didn’t make my hair feel dry after it was rinsed out. Next, she conditioned my natural hair with the FRUIT FUSION COCONUT WATER WEIGHTLESS CRÉME RINSE . The rinse is amazing for quick detangling and didn’t feel heavy after she rinsed it out. She barely had to detangle my hair because the conditioner had saturated it and made it soft and manageable. My braider, Teona, consulted me on a special braid-down that would give me the best wear for the amount of time I wanted to leave the style in. This specialized braid down made sure I did not have any lumps or bumps and ensured my hair would lay down flat. She sprayed FRUIT FUSION COCONUT WATER WEIGHTLESS TEXTURE SPRAY on my braids to keep them from frizzing. As an added bonus, using this spray made sure we did not lose any moisture during installation. The FRUIT FUSION COCONUT WATER WEIGHTLESS TEXTURE SPRAY is also perfect for different styles of braids to keep them textured and frizz free. 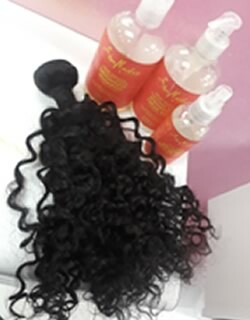 While installing the bundles, my stylist Shicka sprayed my Deep Curl bundles with FRUIT FUSION COCONUT WATER WEIGHTLESS TEXTURE SPRAY to keep the curls poppin and frizz free! I had a small amount of hair left out, so she did flat twists on the leave out and unraveled the twists to match my hair type to the bundles. The FRUIT FUSION COCONUT WATER WEIGHTLESS TEXTURE SPRAY helped blend and preserve the curls without making them too stiff or crunchy. Even after you leave the salon, it is imperative to have products at home that can be used to keep the style looking fresh. This collection has dry shampoos to use on your braids for a quick refresh, leave in conditioner for detangling and light hair oils to keep your hair moisturized with a natural sheen! I would recommend the Fruit Fusion Coconut Water Collection by Shea Moisture , The Weave Shop Charlotte and Hunny Bun Virgin Hair for anyone wanting to create a customized look.